Without good lighting, there will be no beautiful decorations. 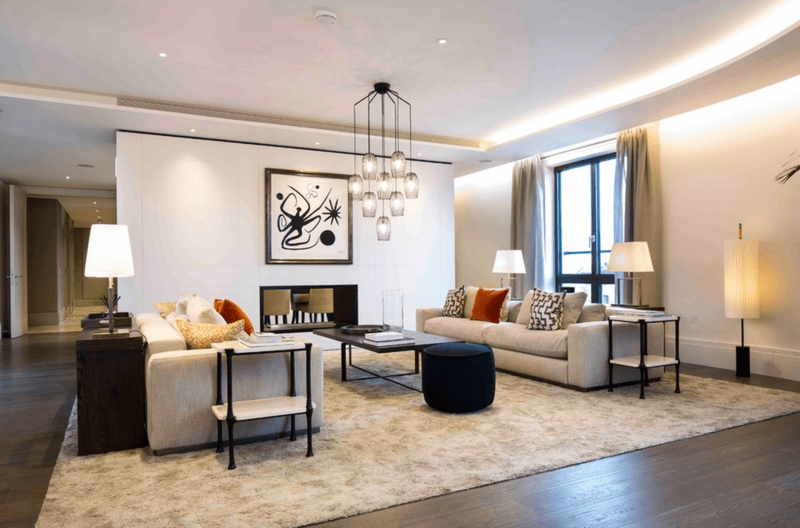 Lighting design should be an essential part of your decor because it can play an important role in improving the room atmosphere. Unfortunately, choosing the right lighting scheme is not easy. If it doesn’t match the mood of your room, the look will seem strange and overwhelming. You certainly don’t want your living room look lifeless because the wrong lighting, do you? 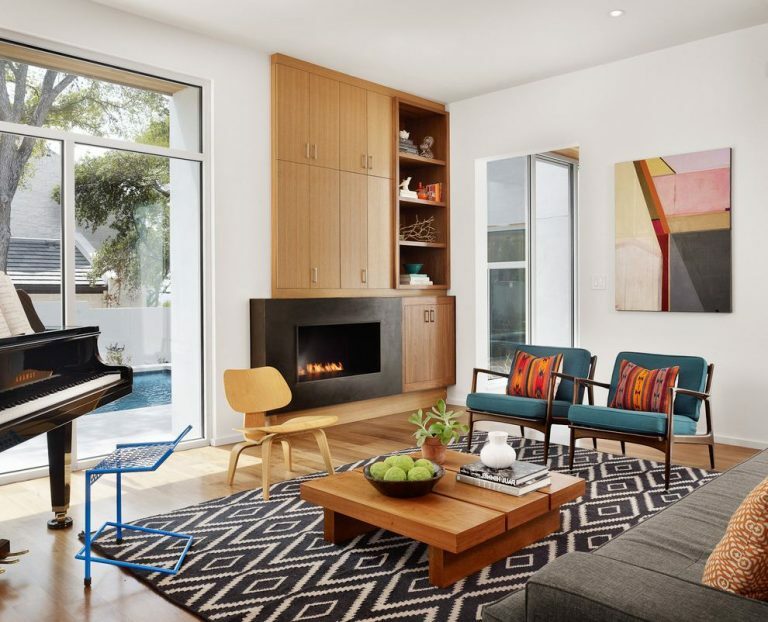 So, get inspiration for your home with these living room lighting ideas and find the best style that really fits your needs. First, you can try a layered lighting scheme. The picture above is the right example if you want to try it. By putting several different light models, you can bring an elegant look to space. In that picture, for example, you can see floor lamp, table lamp, pot lights, and a unique lamp which mounted on the ceiling. Everything is scattered at some point in the room to give a robust and layered lighting scheme. Also, there are three types of lighting that you can choose, namely accent, ambient, and task. These three elements surely have been well translated by putting some models of lights in the living room. 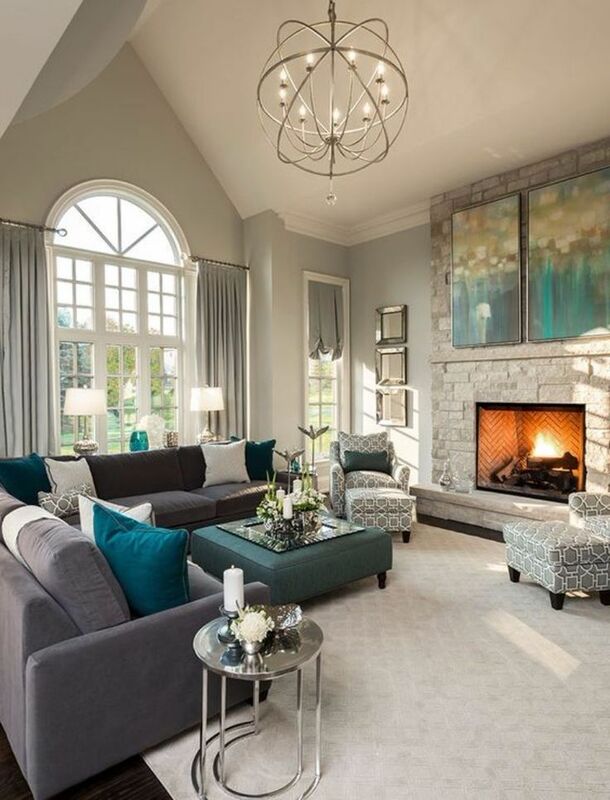 If you want to give an artistic touch to the living room, using sconces can be a bright idea. Also known as wall lamps, sconces can be found in various shapes and sizes. So, you can adjust it to your space needs. This lamp is also much fitted with the small space. It can highlight a few points and illuminates the narrow look. Nowadays sculpture sconces are the trends favored by decor enthusiasts. This is because the unique and artful shape that may bring cozy and relaxing mood. For the minimalist lovers, sconces are commonly used to set up the plain walls. In case it doesn’t look dull and cold. Sconces can also be used to highlight certain ornaments in your room, such as the wall pattern or couch. 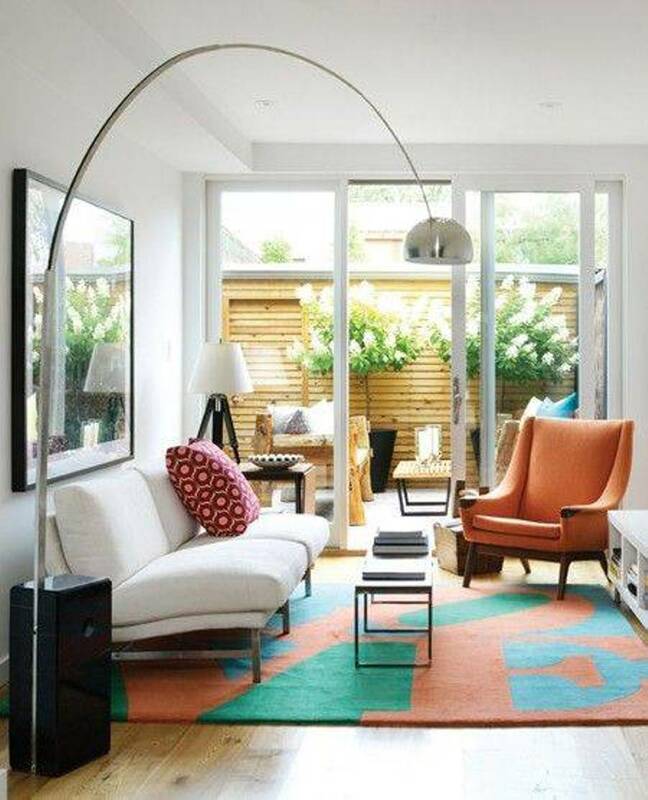 Give a bold statement in the living room by placing an arc floor lamp. You can even use this lamp as the central light source. For those who do so, this lamp serves as a message that a living room should be the comfiest and soothing place in the home. Just put it in the right corner, so that it can’t disturb your movement. As you know, the height of an arc lamp floor is not too high, thus it easy to bump the head. And there’s one more thing to remember; this lamp is more suited to the contemporary style. 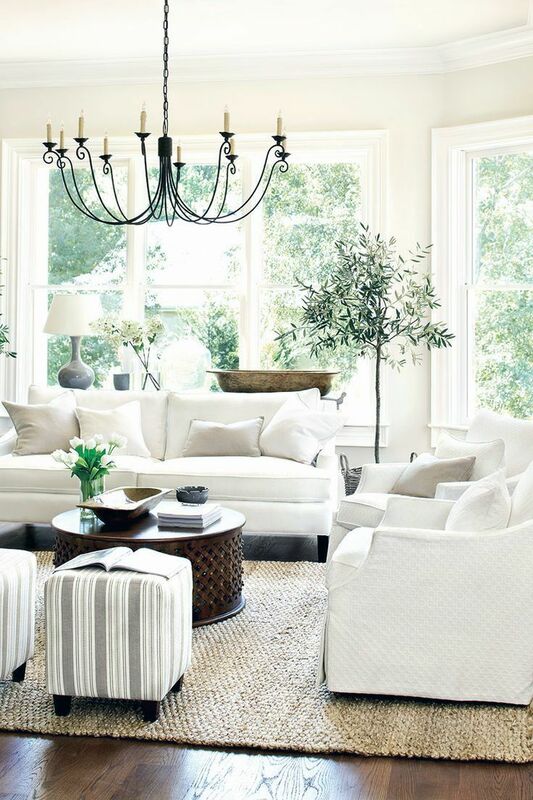 The right lighting scheme can make the living room feel alive and comfortable. Therefore, you need visually balanced lighting to improve the mood. Referring to the picture above, you can combine the chandelier and table lamp. 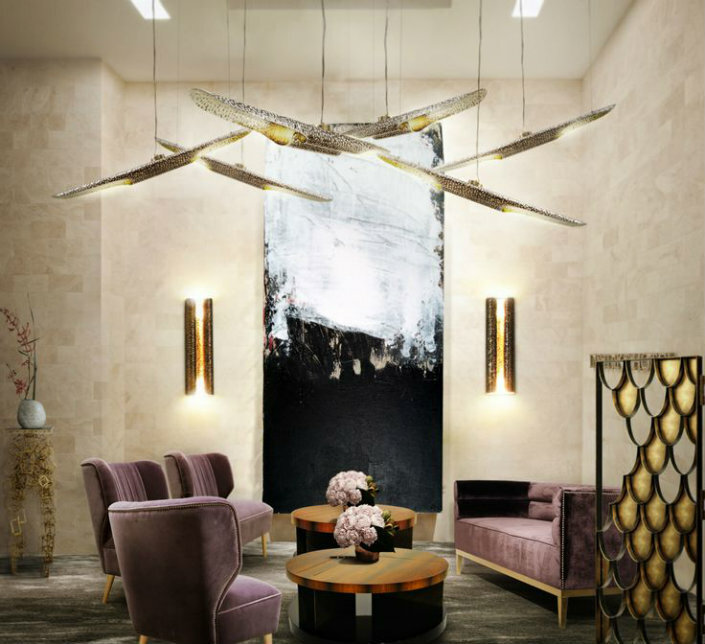 Certainly, the ceiling chandelier is an eye-catching point which can revamp the room atmosphere. Mix it with a table lamp to provide more balanced lighting. But of course, it should be adapted to your room settings. For this lighting scheme, you should organize your room with white dominance. 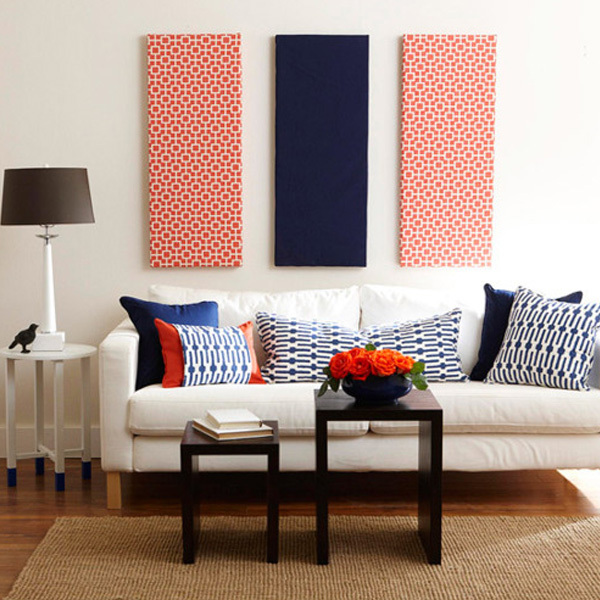 Afterward, put a plain white sofa or the one with simple lines to trim the room. Installing lighting in the living room can be fun if you dare to mix and match something contrasting. So, don’t limit it to certain decor styles or eras. You surely can experiment with many types of lights. For example, like the picture above, space features a dynamic and elegant minimalist style. For that matter, you can install the pot lights with a unique shape. Then couple it with various ornament colors such as warm blue, gray, white, and others. Accordingly, the room look will feel more relaxed and chic. Installing a ceiling fan with a light kit may be the best way to maximize functionality and space. Although it must be admitted, this lamp style is quite old-fashioned for those who like the minimalist and dynamic design. However, for those who like the mid-century modern room, this lighting is very fitting. 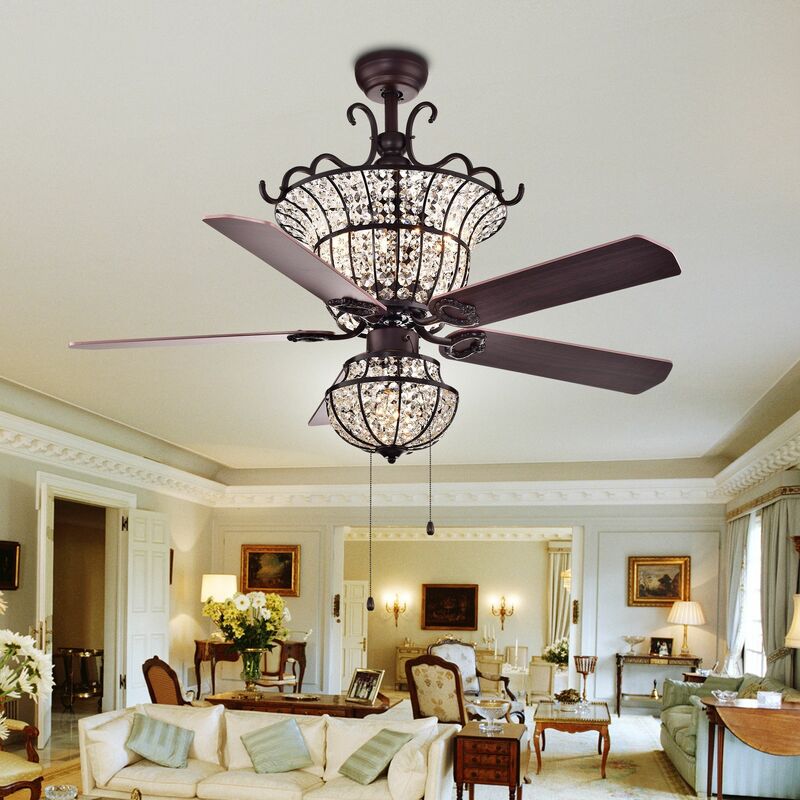 To provide artistic accents in the room, ceiling fan also has two in one function. When the weather is hot, you can turn on the device to give fresh air. Keep in mind that for the spacious living room, like the picture above, using just a ceiling fan is not enough. You need to consider installing some lighting fixtures throughout the room. As shown in the picture, you can put a few sconces and table lamps that are placed in some corners of the room. They will support the space decor as well as create a balanced lighting scheme. When setting up the room lighting, the most important thing to do is be bolder and believe in your instinct. Hopefully, these living rooms lighting ideas can give you that inspirations, so that you can create your dream space.